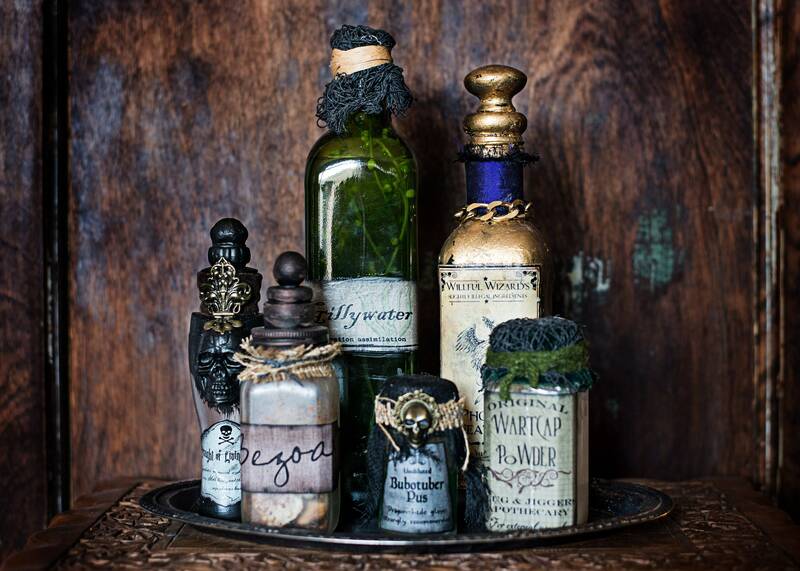 This fantastic Wizard Potion Bottle Set was created because of my love for the famous wizard and the school he attended. 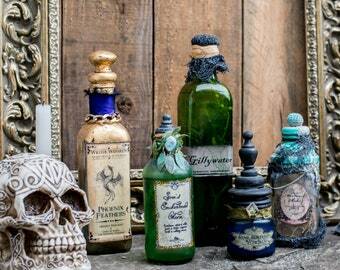 These Halloween Potion Bottles are Mixed Media Altered Bottles are truly Altered Art. 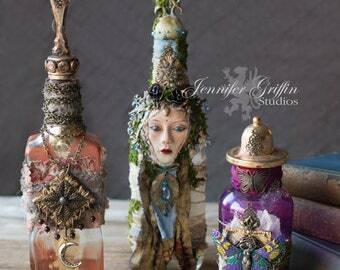 I cast "spells" in my studio to create these famous wizard potion bottles. 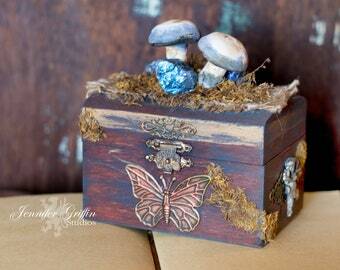 I use ingredients like mixed media texture pastes, paint, jewelers wax, found objects both new and vintage, gold leaf, vintage fabrics and more. 1 bottle of Phoenix Feathers. The bottle contains naturally shed phoenix feathers. No phoenix were harmed in the collection of these feathers. The bottle is 14" in height and 4" square. 1 bottle of Gilly Water. The bottle contains water infused with "gilly weed" or also known as distilled water and plastic quarium plants. This bottle is also 14" in height and 3.5" square. 1 bottle of Bezoar Stones. These are actual stones, though they have not been collected out of someones gut. 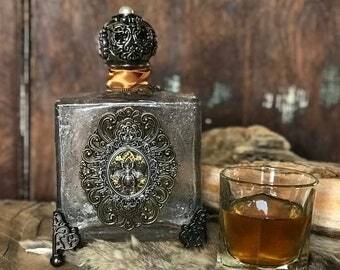 The bottle measures 8" tall and is 2.5" square. 1 bottle of Wart Cap Powder. This bottle has "wart cap' in powder form, also known as baby powder. This bottle is 5" tall and 2" square. 1 bottle of Bubotuber Pus. This little bottle contains this highly acidic substance, bubotuber pus, or better known as distilled water and paint. Dragon hide gloves are recommended when handling this. 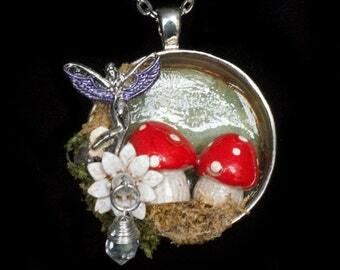 The bottle measures 3.5" in height and is 2" in diameter. 1 bottle of Draft of Living Dead. this draft is in arousal form and cannot be seen in the bottle. This bottle measures 9" in height and 2" ad it's widest point, but the bottle of the bottle is 1" in diameter. ****Please not that these are art pieces. Sculptures if you will and are not to be used as toys. While I take great care to be sure all finished and embellishments are secure, they are not meant to be opened or played with. These bottles are also non-returnable. So please ask any questions before purchasing, I am more than happy to answer any questions you may have. 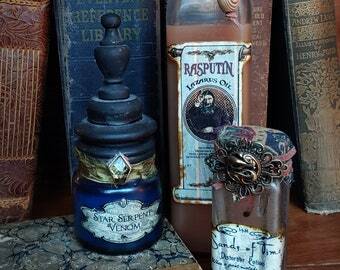 I also take custom orders for specific spells or potions. 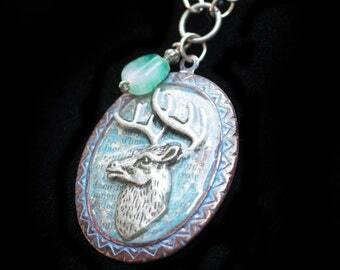 Though these weigh a large amount due to the glass bottles, I offer free domestic shipping.